What Do You Think A Guy Named Sober Was Arrested For? A Pennsylvania man named Sober was arrested for...well, you know where this is going. Daniel Sober, 44, was busted Saturday evening for drunk driving following a police stop near his home in Lower Burrell, a Pittsburgh suburb. 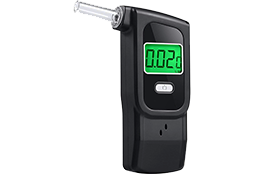 A breath test, cops say, recorded Sober’s blood alcohol content at .194, more than twice the legal limit. Sober, pictured above, was charged with drunk driving and careless driving, according to court records. He didn't live up to his name, for sure! You just know all his friends have been waiting for this moment for years. He will never live this down, and he knows it. Look at that face.